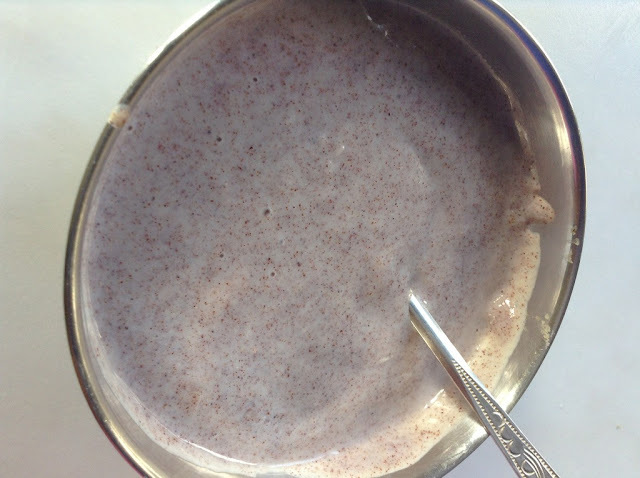 Cooking With Swapna: Sprouted Ragi Porridge for babies & toddlers !!! 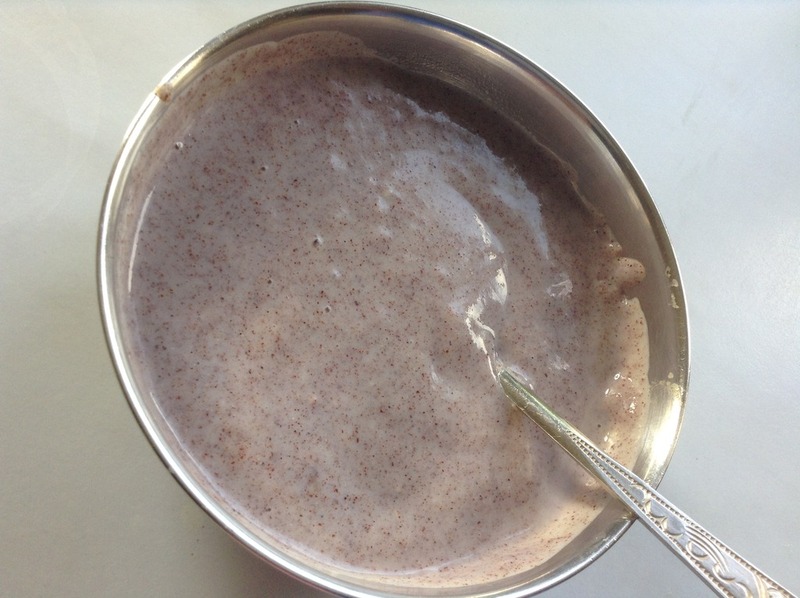 Ragi porridge is really nutritious and healthy when consumed regularly. I started this porridge for my son from 6th month. Gradually, increase the quantity to your babies and we can add nut powder to this porridge for babies above 10 months. Try to use homemade sprouted ragi powder for this preparation. Breast milk / formula milk is recommended for the babies. 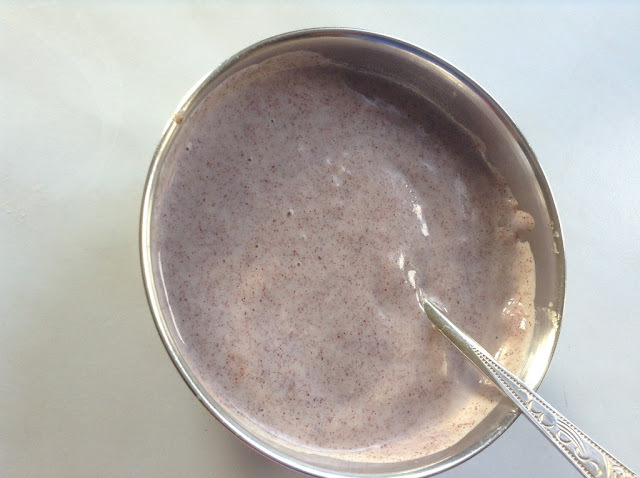 A pinch of cardamom powder can be used for flavour. 1. Dissolve the jaggery(if using) in the hot water and filter it. 2. 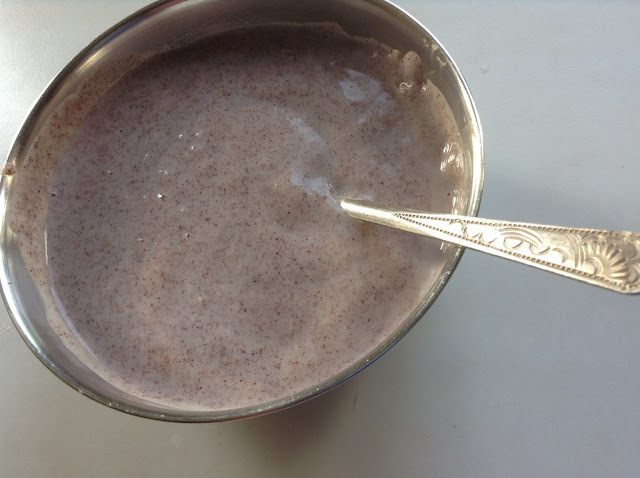 Stir in the ragi flour. Break up the lumps. 3. Cook on a medium flame and cool it completely. 4. Add the milk and adjust the consistency.